Many music and video streaming services offer family plans that make it easy to share one account with multiple users. A family plan usually costs more per month than an individual plan, but is cheaper on a per-user basis. One person is responsible for playing the bill. Each member gets their own account with their own playlists and listen/watch history. If the primary account holder cancels the paid subscription, everyone else loses their premium accounts. Actually, many music and video streaming services are way ahead of you. If you try to play music on Spotify on two devices, for example, the first stream will automatically stop. A family plan is often the only way around this restriction. All the major music streaming services offer a family plan. Spotify’s family plan requires that members live at the same address. Each member gets their own unique login, which means they get their own listening recommendations, playlists, and listening history. Users who sign up for Spotify’s family plan get everything that comes with an individual premium account, including ad-free listening and offline mobile listening. Apple Music’s family plan, like Spotify’s, gives users personal accounts with their own playlists, recommendations, and more. The catch with Apple Music is that you have to first set up iCloud Family Sharing, which also allows the sharing of apps, music, and iTunes purchases Set Up Family Sharing & Share Apps, Music & Other iTunes Purchases Set Up Family Sharing & Share Apps, Music & Other iTunes Purchases You and your family members probably have separate iTunes accounts for your app and music purchases, but there's no reason you should be paying for the same apps multiple times. Read More . The person who sets up the Family Sharing account is essentially granting other users access to his or her payment method. If other accounts are set up as Child Accounts, they will have to request permission to make purchases. With Apple Music’s family plan, you get everything that comes with individual accounts including offline listening, ad-free music, and access across multiple devices. Pandora launched its family plan in May 2018. Pandora family plan users get their own unique logins and access to all premium features: ad-free listening, playlists, and unlimited skips and replays. Pandora’s family plan also includes a unique feature called Our Soundtrack. This offers up an auto-generated playlist much like Spotify’s Discovery Playlist, but is based on the entire family’s listening habits. Signing up for Google Play Music’s family plan gets each user access to their own personalized Google Play Music account for use on up to ten devices each. Users can also share eligible Google Play purchases in the family library. They get access YouTube Red (soon to be YouTube Premium) for no additional cost, provided they live in a YouTube Red eligible country. The Google Play Music family plan itself is only available in 23 countries. While Google doesn’t specify that family members have to live at the same address, they do at least have to live in the same country. Amazon Music Unlimited is not the same as Amazon Prime Music Amazon Music Unlimited vs. Prime Music: What's the Difference? Amazon Music Unlimited vs. Prime Music: What's the Difference? In this article, we take a look at Prime Music and Amazon Music Unlimited to help you determine which one is right for you. Read More , with the primary difference being that Amazon Music Unlimited gives you access to over 10 million songs (as opposed to the 2 million in Prime Music). The Amazon Music Unlimited family plan gives each member a personalized account with their own playlists, recommendations, and listening history. Amazon Music Unlimited, like its cheaper alternative, offers unlimited skips and the ability to download songs to the app for offline listening. It also gives users the option to filter out explicit lyrics. 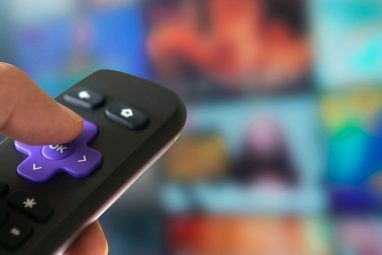 Not all video streaming services offer a family plan, but most do offer a way for more than one person to watch their favorite shows at the same time. Alongside two-day shipping and all the other benefits that come with Amazon Prime, users also get access to two million songs ad-free, and Prime Video. Users can choose to sign up for a monthly or annual Prime membership, but to share Amazon Prime benefits, users must create an Amazon Household. Adult members can share payment methods if they want, and Amazon says that members of your household must live at the same address. The household can consist of two adults, one of whom is the primary account holder, up to four teen profiles (ages 13 to 17), and up to four child profiles (ages 12 and under). The teen and child profiles have parental controls which include the ability to restrict the content viewed through Amazon Prime. If two day shipping and access to Amazon Music doesn’t interest you, you can sign up for an “Amazon Prime Video only” account for $9/mo, but this technically doesn’t come with a family plan. YouTube Red’s family plan is available for those living in the same household, ages 13 and up. To start a family plan, you need to create a Google Family Group Google Play Family Library: Share Your Paid Apps, Movies, and More on Android Google Play Family Library: Share Your Paid Apps, Movies, and More on Android You can share your paid apps, movies, calendars, and more with your family using Google's built-in Family Library feature on Android. Read More and invite other members to use YouTube Red. 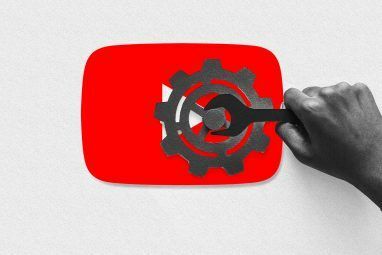 Members of the YouTube Red family plan can continue to use their own Google accounts to access the platform, and in so doing, get their own recommendations, history, preferences, and playlists. YouTube Red family plans include all the same features as the individual account: ad-free watching, offline access and background play in the mobile apps, and access to YouTube Red originals. YouTube Red members also get full access to Google Play Music! Users can create up to five profiles in one Netflix account for personalized viewing, ratings and reviews, individual playback settings, and maturity level. There are two options when it comes to family plans on Netflix: you can opt for the Standard Plan which gives you access to two simultaneous HD streams, or you can opt for the slightly more expensive Premium Plan which gives you four HD streams in HD or Ultra HD. Hulu technically doesn’t have a family plan, only a standard streaming plan for $8/mo and a commercial-free plan for $12/mo. However, users can create up to six profiles per account with personalized recommendations and watch history for each profile. And while Hulu technically doesn’t offer simultaneous streaming, we found that even with the standard plan, we were still able to watch on two devices at the same time. For Hulu’s Live TV offering, users pay $40/mo with Hulu explicitly including two simultaneous streams. Users can add unlimited screens to this plan for an extra $15/mo. 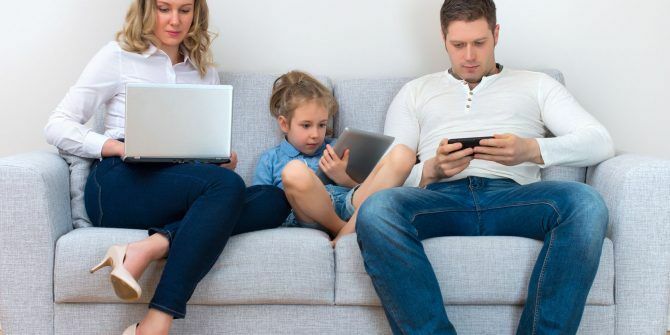 The availability of a family plan can be a significant factor when it comes to selecting your music or video streaming service, but there are plenty of other things to bear in mind. When choosing a movie and TV show streaming Netflix vs. Hulu vs. Amazon Prime: Which Should You Choose? Netflix vs. Hulu vs. Amazon Prime: Which Should You Choose? It has been years since we've compared heavy-hitting streaming services, Netflix, Hulu, and Amazon Prime. And with changes in pricing, content, quality, and interface, we thought it was time to revisit the topic. Read More or the right music streaming service How to Pick the Best Music Streaming Service for You How to Pick the Best Music Streaming Service for You Do you use a music streaming service? If so, how do you know you're using the best one for you personally? Read More , you’ll want to think about basics like the catalog, the supported apps, and of course the cost. But if you do decide to take the plunge and select one of these services, all it takes is two people in a household to make it worth your while to sign up for a family plan. Explore more about: Amazon Music Unlimited, Amazon Prime, Apple Music, Google Play Music, Hulu, Media Streaming, Netflix, Pandora, Save Money, Spotify, YouTube. Your detail regarding Amazon Music and Family sharing is incorrect. Based on this article, I tried sharing my Amazon Prime with my kids (primarily for Amazon Music), but it did't work. Upon digging into Amazon site, they say that Music is NOT shareable. Argh!